Today I made two shaker cards. I couldn’t decide which image I wanted to use so I ended up using them both. ( I do the same thing when I’m shopping, if I can’t decide which skirt to get, I get them both…. LOL ) I used my kids fake snow and some glitter in my shakers. I really enjoyed making them and I like how clean and crisp they look. 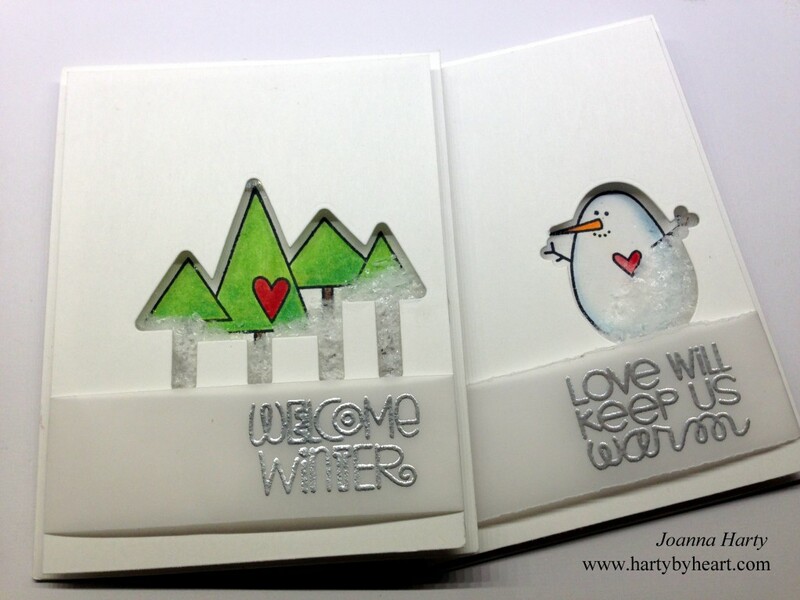 If you would like to see how these cards came together, take a look at the video. 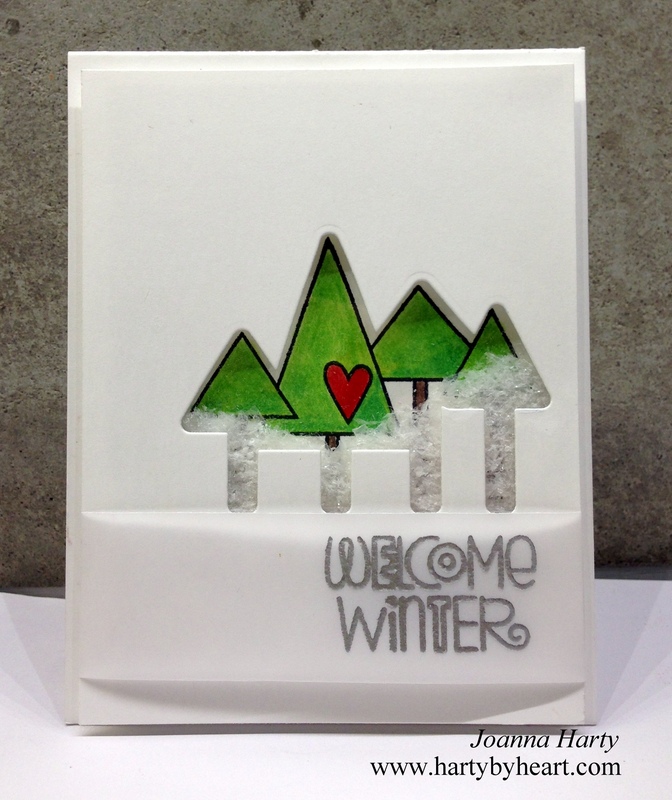 This entry was posted in Christmas cards, Friend cards, Valentine cards, Video and tagged card tutorial, cas, christmas cards, clean and simple, cute, fun, paper smooches, shaker cards, warm hearts, winter groves on December 18, 2015 by Joanna Harty. 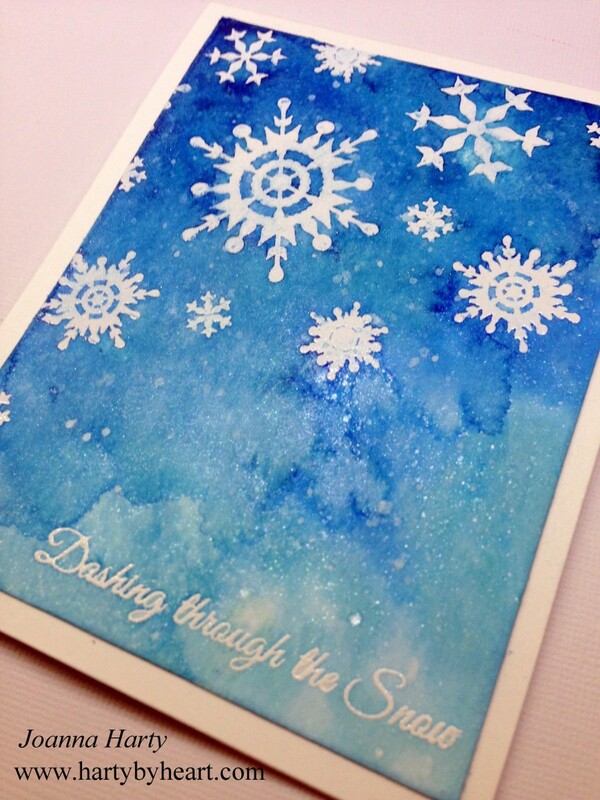 It’s time for another video for CAS-ual Fridays Stamps and today I used the beautiful Must Love Snowflake stampset. 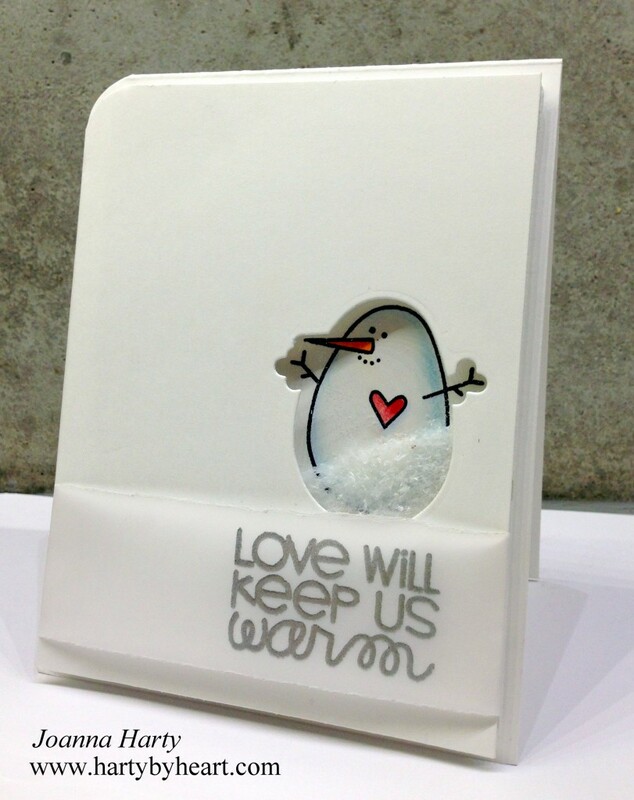 So many great sentiments and the snowglakes are goregous! I did the background using Peerless watercolors, take a look at the video if you would like to know more. 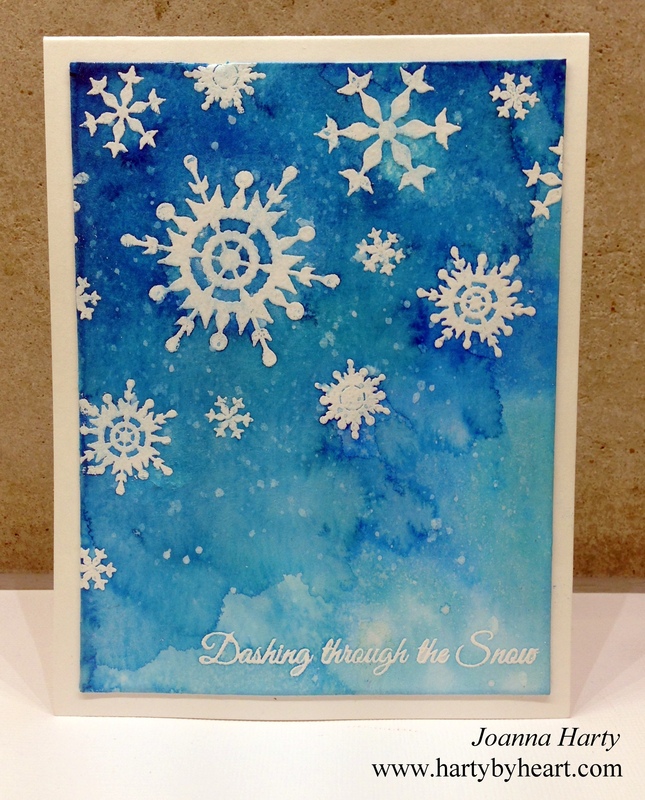 This entry was posted in Christmas cards, Video and tagged CAS-ual fridays stamps, christmas card, clean and simple, elegant, must love snowflakes, tutorial on December 5, 2015 by Joanna Harty.